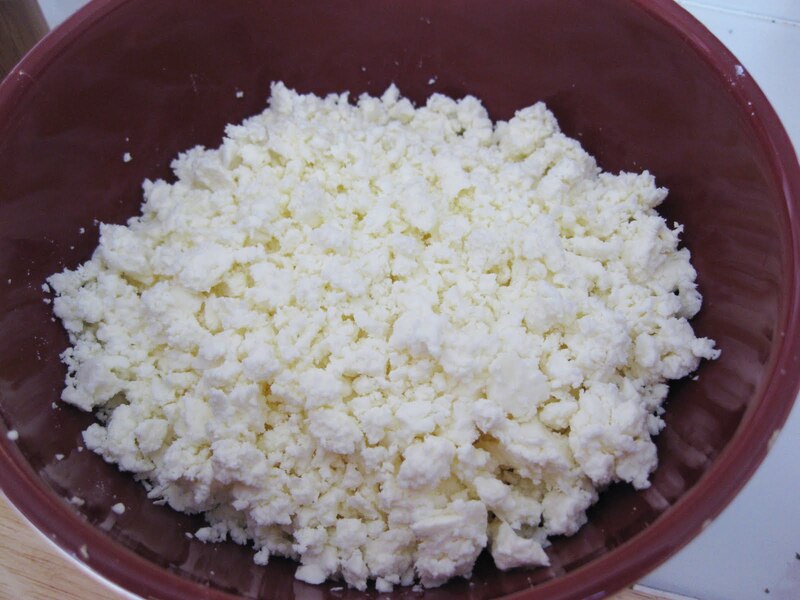 Feta cheese can range from soft to hard, and trying to crumble it for salads and toppings can result in mashing it instead. Here’s the easiest way to crumble it. If you have a block of feta, cut a slice in the amount you want to crumble. Otherwise, just start with a slice. Run the feta under cold water for 10 seconds. This will clear away any brine and firm it up. For salads, use your hands or the tines of a fork to break it up into small pieces. They do not have to be tiny; small chunks work just fine. For toppings for pasta, meat dishes, and dakos, and to use in pitas that call for smaller pieces, poke the feta with the tines of a fork (do not mash) to make very small pieces. Use the coldest running water possible to firm up the cheese.